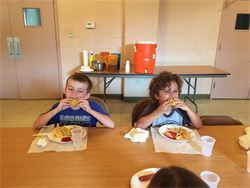 ​​The Community School Summer Day Camp - where the fun never ends! 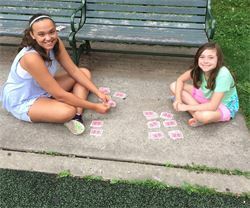 At Community School Summer Day Camp, your child will experience a memorable summer in a safe, nurturing and caring environment dedicated to growth, friendship and fun! Camp at Community School offers a full range of team and individual sports, instruction and play, arts and crafts, culinary arts, field trips and workshops given by Mad Science. 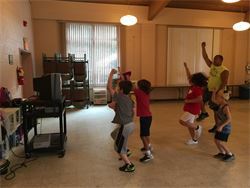 ​Special attention is paid to ensure all activities are developmentally appropriate for the varied ages of our campers. ​We also offer a C.I.T.program which is Counselors in Training. Teens who are 13 years or older may apply. Teens accepted into the C.I.T. program, will receive a reduction in tuition (limited spaces). ​​Meet Scott Silva and Jenna Bucci, our camp directors. Both are certified teachers and have been part of our summer camp for several years. We are proud that so many of our staff return year after year and that so many are former Community School campers! 2. After we receive your application form you will receive a packet (Click HERE for second packet.) containing the necessary registration forms, more information on our summer activities and payment information. 3. Complete and send the registration packet and the days you wish to enroll your child for camp. 4. A check (or cash) in the amount of $155.00 must accompany the registration form. As is our policy, $55.00 will be applied to a registration fee and the balance of $100 will be applied towards your child's summer camp tuition. $100 of the deposit will be fully refundable until May 31, 2018 should you choose not to have your child attend camp.